Open new CNC file (File/New) and open this dialog. 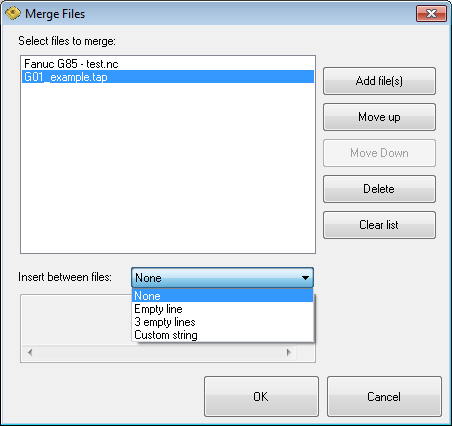 In this dialog you can select several files to join. Use "Add file(s), "Move up", "Move down", "Delete" and "Clear list" to edit list of files and files order. Under "Insert between files" select how files will be separated in new file. Click OK to join content of all selected files in one CNC document.